Delacon’s call tracking solution seamlessly integrates with a range of industry leading software platforms that you’re already using. The call data can be analysed within these platforms to give you meaningful insights based on complete information. Delacon proudly invests in the continual integration of our solution with other platforms for the benefit of our clients. Accessed through your bid management platform, with the addition of call tracking you’ll be able to make more informed marketing decisions and optimise paid campaigns from a position of complete knowledge. With the inclusion of call data you will have a true representation of the success of online campaigns. 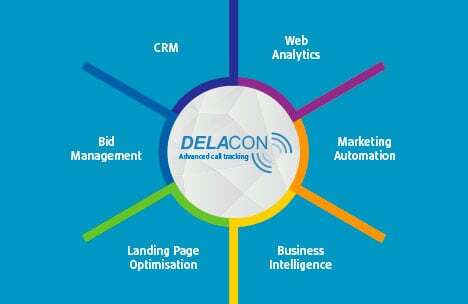 Delacon’s call tracking integrates with Acquisio, Google Adwords, Marin Software and Google DoubleClick.